Xiao8 and the rest of Newbee after winning TI4. Newbee is a powerhouse when it comes to Chinese esports, especially Dota 2. The organization already has a youth feeder team to pull from and was looking exceptional after taking second at Malaysia’s ESL One Genting 2017 just over a week ago. But it’s the most recent team to form under the Newbee banner, Newbee Boss, that has everyone talking. Consisting of Zhang “xiao8" Ning, Luo “Ferrari_430" Feichi, Bi “Axx” Xia, Wong “ChuaN” Hock, and Wang “Zei9" Yue, the team includes a few seasoned, semi-retired veterans of the Chinese Dota 2 scene, a woman pro from the CDEC Master League, as well as the entire crew’s boss. As a result, no one’s quite sure what to expect from the organization’s new B team, but everyone’s paying attention. Newbee Boss have been referenced in some quarters as a “troll team,” and not something to be taken seriously. Even people associated with Newbee have called it “just for fun.” But even if its a somewhat unusual lineup of talent overall, there are too many heavy hitters to discount the experiment right from the start. Xiao8 and Ferrari_430 have both won Internationals before, the former with the original Newbee and the latter with Invictus Gaming. ChuaN was with Ferrari_430 for the 2012 win, and has continued to be force in Chinese Dota 2 ever since. And then there’s Axx, a popular Chinese streamer and pro player who, despite being an unknown quantity in the West, has an MMR (Match Making Rank) of over 7K, and performed respectably in Newbee Boss’s first outing together at the Dota 2 Asia Championships qualifier. In an esport that skews almost entirely male, lots of the game’s fans are excited to finally see a woman earn a spot on a team alongside other heavy hitters in a game where mixed-gender teams are as rare as unicorns. As for Zei9, the actual “boss” of Newbee Boss, rumors and speculation have begun to outpace any hard evidence related to his abilities and intentions for the team. Only time will tell whether this new team was the vanity project of a billionaire’s son or a legitimate attempt to do something different and unexpected in Dota 2 and esports in general. While the team’s performance in the Dota 2 Asia Championships 2017 China Qualifier over the weekend wasn’t idea, Newbee Boss still managed to place ahead of a number of other teams, including previous TI winners EHOME. The original Newbee looked even worse when they started out back in 2014. 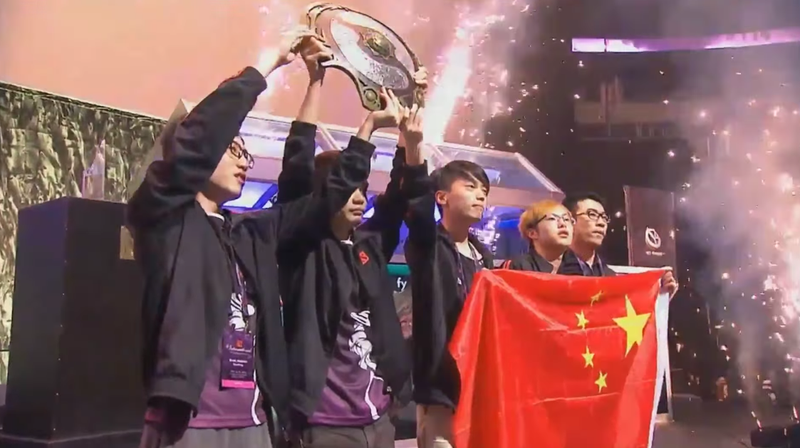 But that didn’t stop them from winning that year’s TI just a few months later, with help from players like Xiao8. Success like that remains a long shot for Newbee Boss, but then again so what a team like them ever forming in the first place.